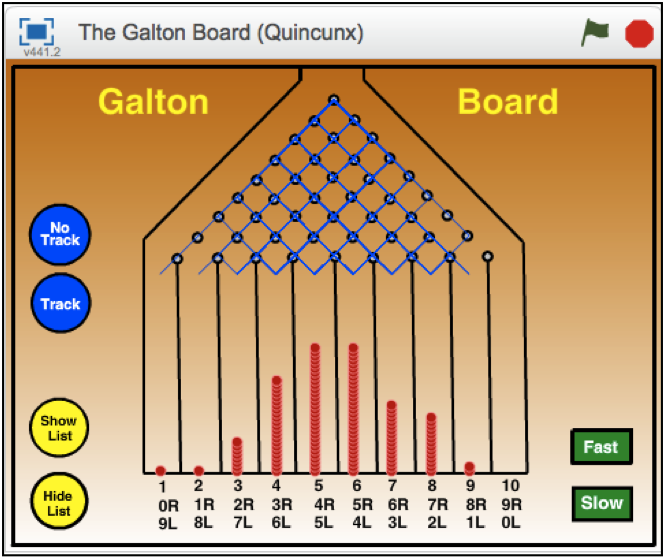 The Galton Board (quincunx) was invented by Sir Francis Galton (1822–1911) as a mechanical device to demonstrate the 'normal distribution' in statistics. "He had noticed that a normal curve is reproduced by lead shot falling vertically through a harrow of pins…" For more information visit the following link. 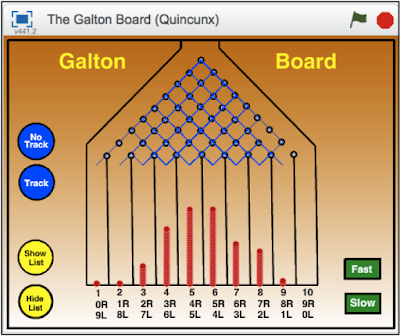 In a Galton Board, the coin flipping is replaced with a marble striking a peg and then going left or right with equal probabilities. 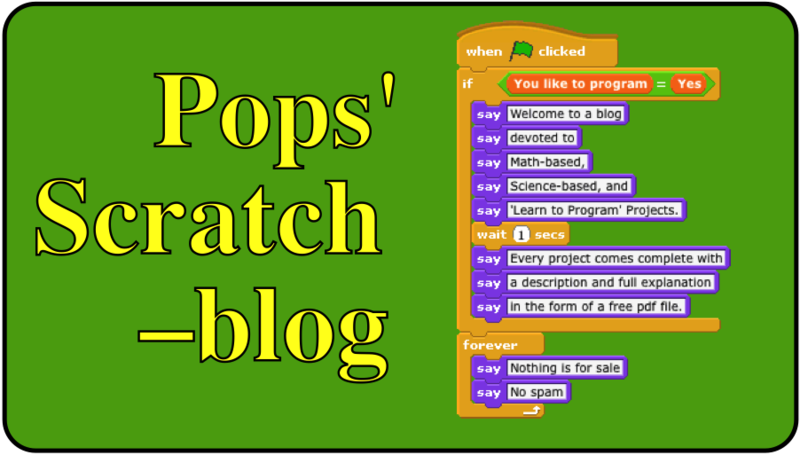 There is a neat programming shortcut used to determine the bin number (1 – 10) that each ball falls into after striking the ninth peg. One just has to count the total number of 'lefts' (or 'rights') at the end of the ninth bounce. The order of lefts or (rights) is not important. At the bottom of each numbered bin. Click on 'Show List' to view the totals for each bin.